This could be any homeowners nightmare. Imagine sleeping at night and you hear someone's knocking at your backyard door. And it's a raccoon. Begging you to give him food. But since it's so cute, you obliged. 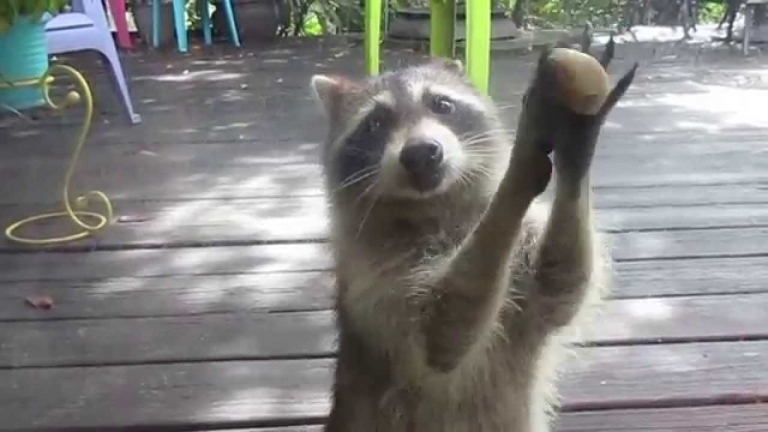 You give the cute raccoon a bowl of cat food. Just wait until it comes back every night and you finally realize it's not so cute anymore. This Raccoon is probably like.... "What the hell lady! Stop talking! give me food already or I'll smash this glass door!" Damn rabbit do the quickiest quickie ever! !